This is the view northeast. 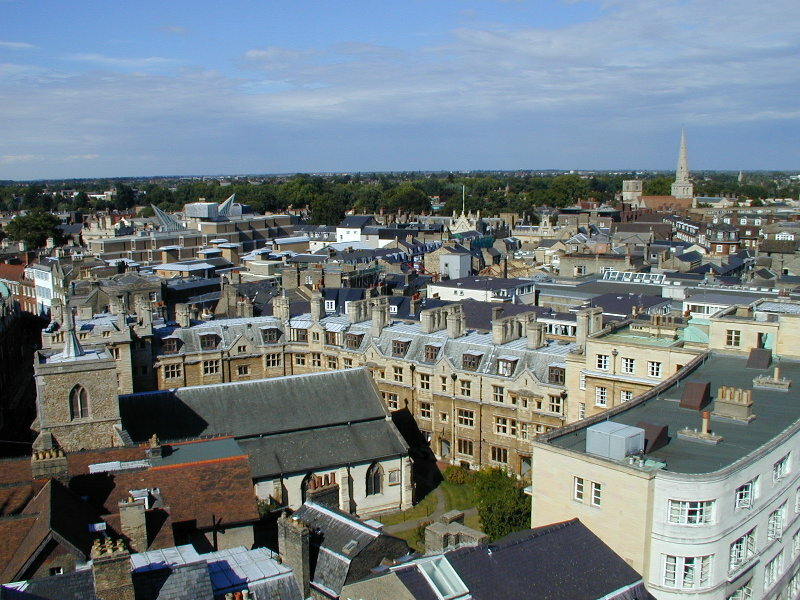 At the right is the newer part of Gonville and Caius College St Michael's Court and in the middle the older part of the court, surrounding St Michael's Church. The spiky protuberance left of the middle is the top of the Trinity College Wolfson Building. The church at the right is All Saints.